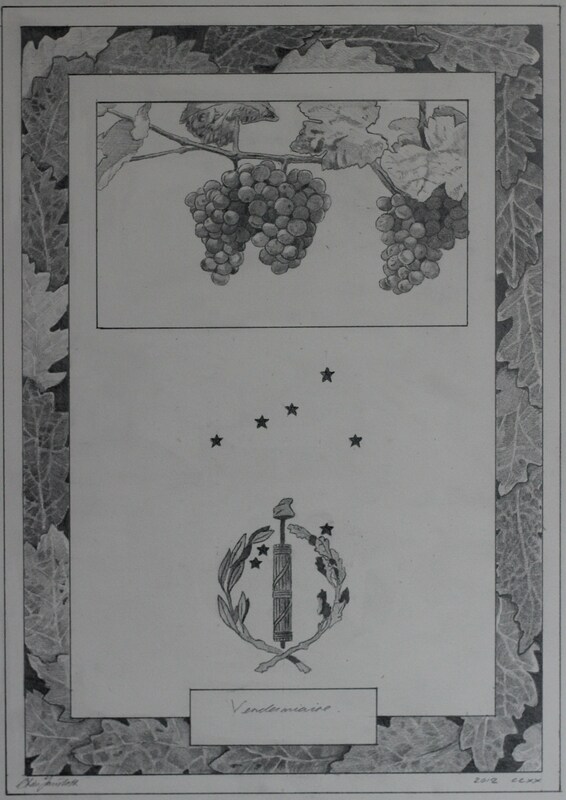 French Republican Calendar, series 1, 1/13. Pencil on paper. 2012. 29.5 cm x 41.5 cm. Prior to the start of this series I had only ever used drawing in two ways, either as part of the preparatory process for a painting, or as an exercise; the simple process of drawing objects in front of you, not to produce any completed work, but as an exercise in looking, in hand-eye co-ordination, similar to the pianist playing scales as a form of practice. These though were my first series of drawings conceived as finished works.